While scientists are trying hard to find evidence of life outside earth, there are conspiracy theorists who have their own ongoing researches to find some extra-terrestrials. Given the vastness of the universe, it would not be surprising to have some other beings residing out there somewhere, but one man has claimed he has seen and visited them through time travel! 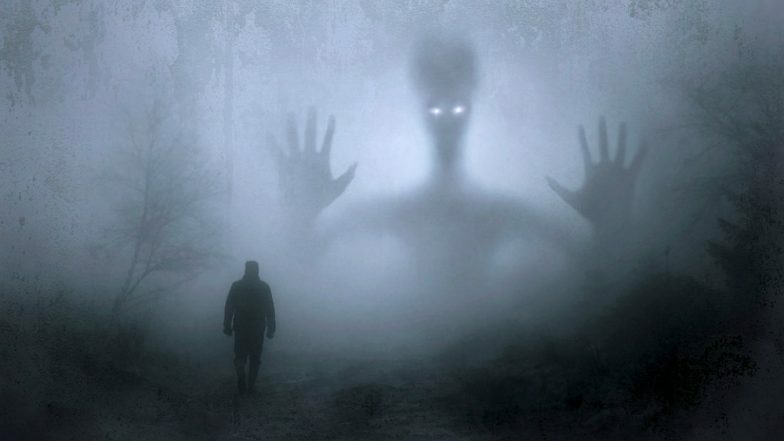 A video has been posted online on YouTube which shows a former security agent from Russia, describing his encounter with the aliens and what they plan to do with the Earth. Aliens Could be Trapped on Super-Earth Due to Gravitational Pull. There are numerous groups online which are constantly seeking aliens be it in forms of UFOs or any other mysterious objects. There are countless theories about seeing aliens and this just seems to be one bizarre one out of them. While time-travel has been seen effectively in the movies, Mr Wojnach Djokovic claims he travelled to the year 4000. He apparently fell asleep and woke up in a frozen swimming pool in the company of aliens! According to Mr Djokovic's description of aliens, they are, "white, white, they were absolutely white, with big eyes, about five or six feet tall with big heads and small tiny mouths with long fingers but without fingernails". He then even called them as friendly creatures, who sort of started exploring his brain. The Russian engineer struck up a conversation with them and they told him they have an important mission. "Our galaxy is great but we came here with an extremely important mission. We wanted to create a colony of the most intelligent people with super strong powers and abilities," he says. This time-traveller man some more insights to give on how humans accepted aliens. He goes on to state that there were wars between the two communities as humans were not ready to accept them. Aliens then created their own planet and made it into a paradise. He says, the alien then told him to go back to his time and "inform the people about us." To exactly quote the aliens, "Tell them to protect your own place, but don't try to return again." This video has been looked as an entertainment by most people on YouTube. Well, his statements do sound crazy but have found some enthusiasm on social media.